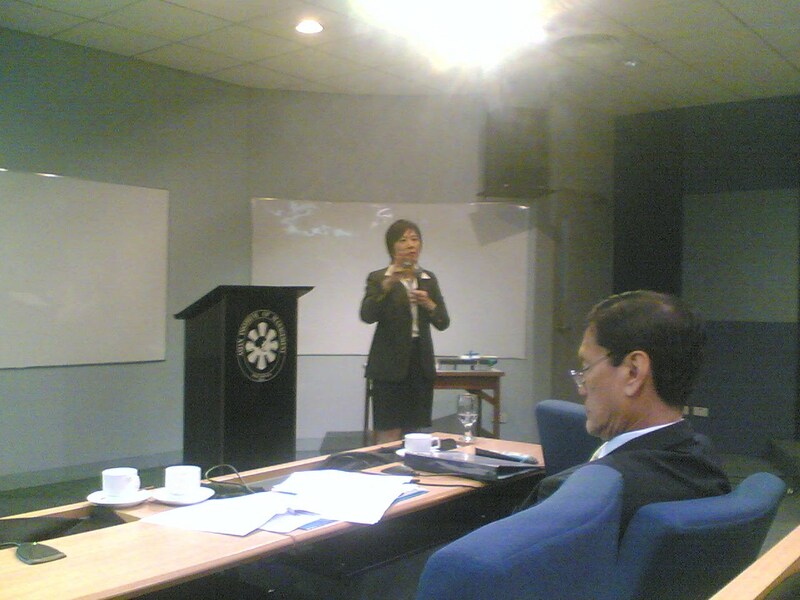 Last week, there was a "National Summit on Transparency and Governance in Universal Healthcare" was held, September 16-17, 2010, at the Asian Institute of Management (AIM) in Makati. The event was sponsored by MeTA Philippines. I attended it. One of the topics in the forum was "Universal coverage experience of Thailand", and the speaker was Ms. Netnapis Suchonwanich, the Asst. Secretary-General of Thailand's National Health Security Office (NHSO). She's an articulate and intelligent lady. In her presentation, Thailand has an impressive experience: as of this year, 99.5 percent of all Thais have healthcare coverage! Those private hospitals and clinics take away some social and economic pressure by the public from public hospitals and clinics. Thailand's total health expenditures up to 2005 was arouond 3.5 percent of GDP. About 1/3 of such spending came from the private sector, the bulk came from the government. According to the public health ministry, in 2006 around 48% of the population was covered under the universal health programme, 19% enjoyed civil service benefits and 13% were members of the social security scheme. The remaining 20% opted for private healthcare, either because they were not covered by any of the public healthcare schemes or because they chose not to be covered. It is important to allow and encourage the presence of private healthcare providers so that those who are not happy with the quality of services in the public sector will have another option for local treatment and not travel abroad to seek treatment, or endure whatever service the public sector will give.